Another season of beekeeping is starting to wind down. 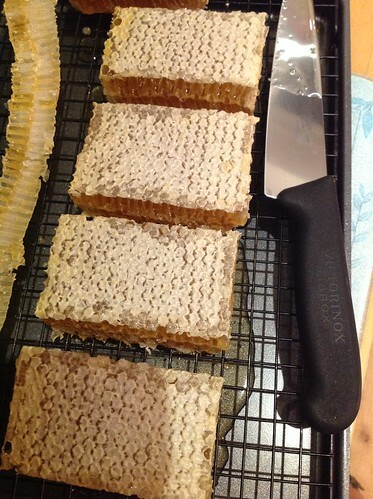 Last night we were busy preparing cut comb and spinning out the last frames from our favourite hive – Hive 2. For some reason the bees in that hive make more honey than any of our others and they forage on different flowers, giving a more flavoursome honey. 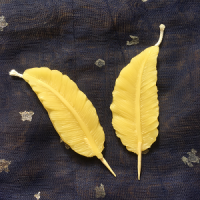 They are also sweet natured. 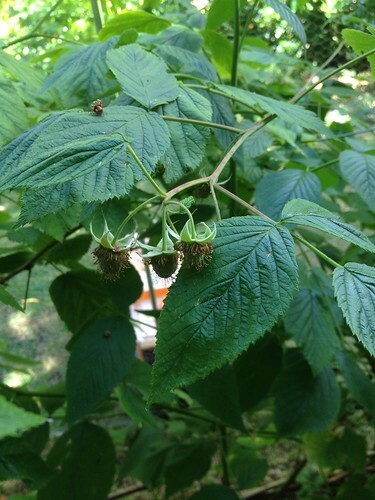 This entry was posted in Blog, Foraging, Hive News on 23 August 2015 by Helen Rogers. Everyone loves a bargain don’t they? 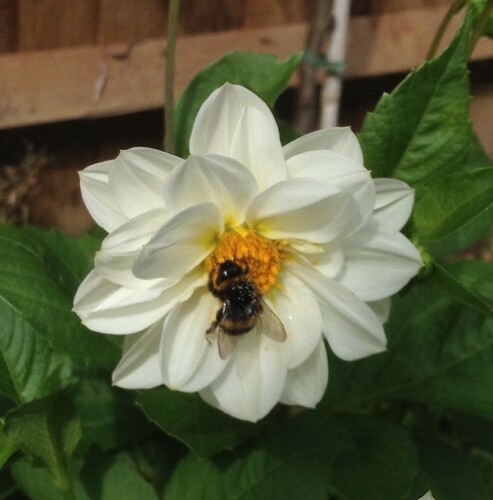 I picked up some dahlia tubers earlier this year at our local 99p shop – I think that there were 5 or 6 in a bag. I’m so pleased that they have all thrived and turned out to be single dahlias in a variety of colours. The single type are real favorites of pollinators (they can’t get to the pollen or nectar in doubles) and they are being constantly visited by honey and bumble bees. 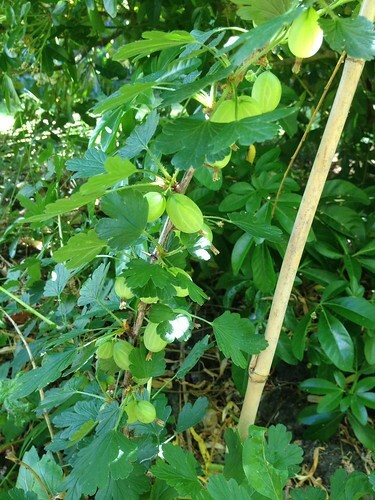 This entry was posted in Blog, Foraging on 15 August 2015 by Helen Rogers. 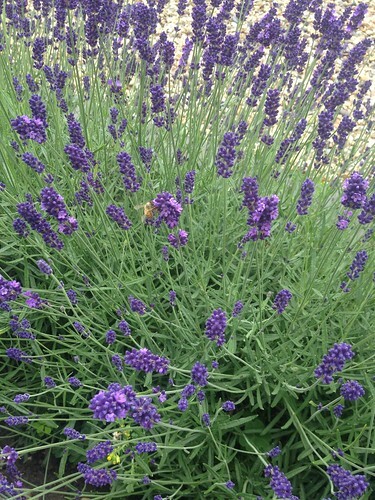 The lavender in our neighbourhood has been really good this year, and there is plenty of it. 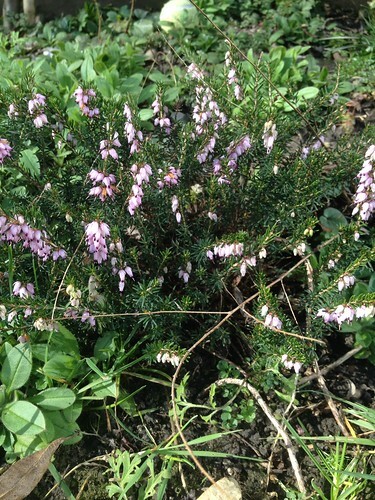 We stopped to look at the bees on this bush today and spotted 5 different types of bee. 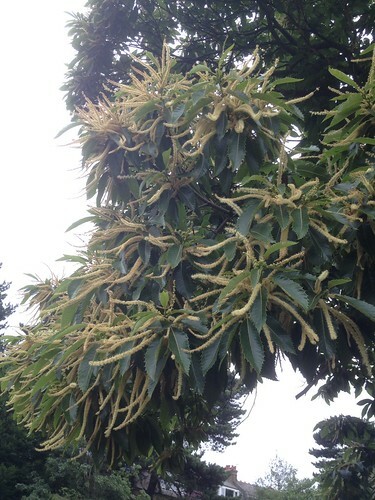 There has been sweet chestnut flowering too, which gives a very dark honey – it’ll be interesting to see if our bees found any to forage on. 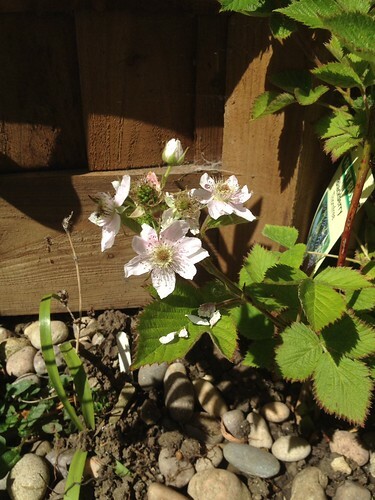 Yesterday while I was inspecting our hives in Hendon, I noticed that some of the bees where coming back to the hive with a splash of white on their backs – a sign that they are foraging on Himalayan Balsam. 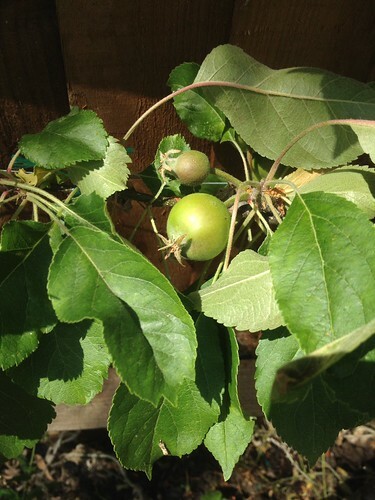 This entry was posted in Blog, Foraging on 31 July 2015 by Helen Rogers. N6 Nectar flow is now! 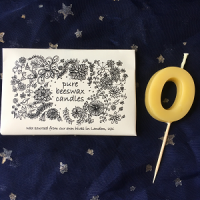 Suddenly the hives are humming – bees are piling in and out throughout the daylight hours and as the sun goes down there is a terrific fanning noise. 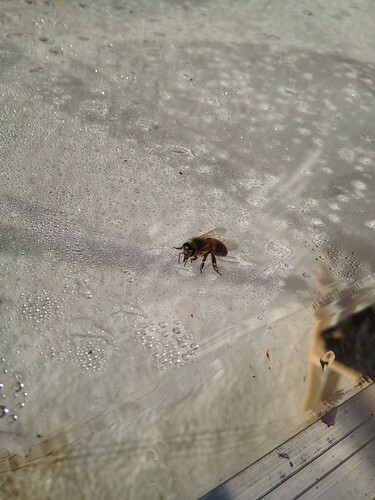 The bees fan the honey with their wings to reduce the water content – this is their busiest time of year! The warm weather is perfect for gathering nectar, so it is important for us to keep a close eye on the hives to make sure the bees have enough room to store it and continue to raise brood. 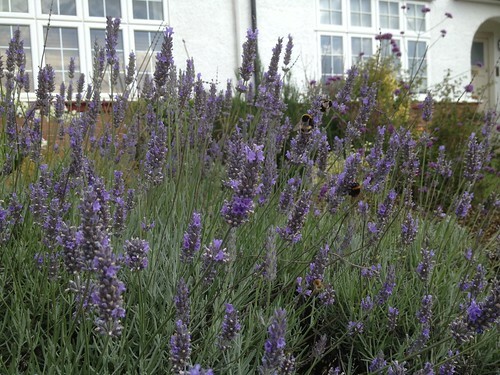 The lime trees locally are just starting to open, and we’ve seen bees very busy on lavender and clover. 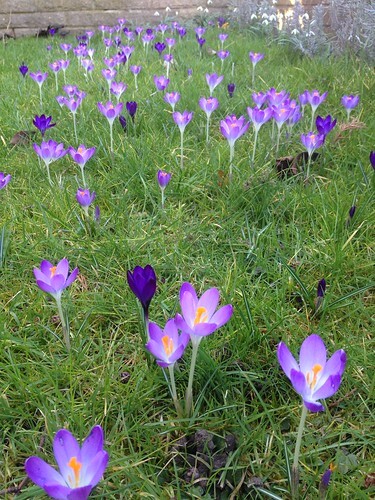 We haven’t mown our lawn this week so the bees can make the most of it. 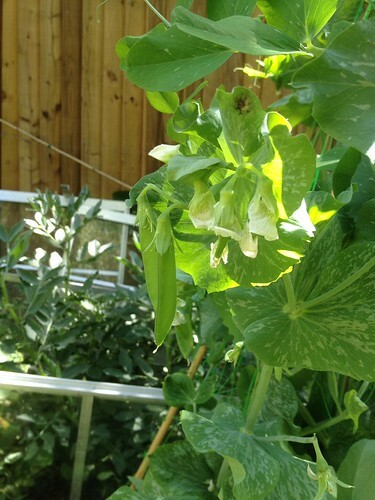 This entry was posted in Blog, Foraging on 29 June 2015 by Helen Rogers. Without pollinators none of these delicious fruits and vegetables would have set and our diets would be much the poorer as a result. 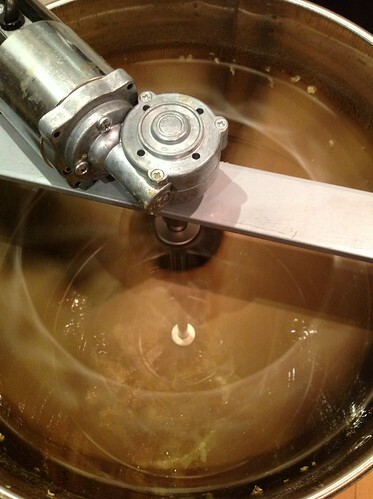 So, thank you little creatures – we’ll do our best to take care of you in return for your hard work. 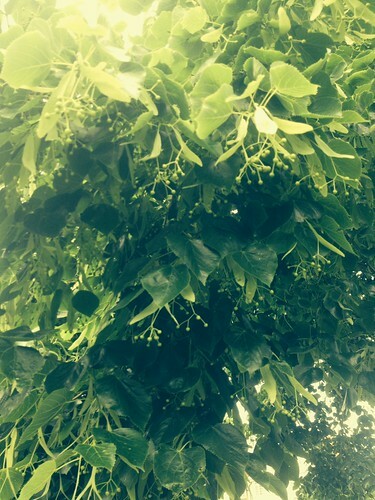 This entry was posted in Blog, Foraging on 16 June 2015 by Helen Rogers. 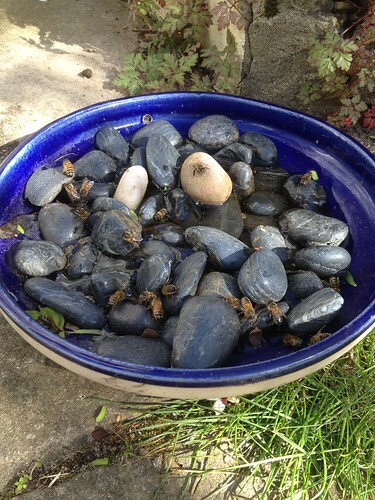 I decided to give them something a bit nicer, with fresh water and some stones in it to sit on so they don’t drown. I put it in the same spot as the old container and they really seem to enjoy it. 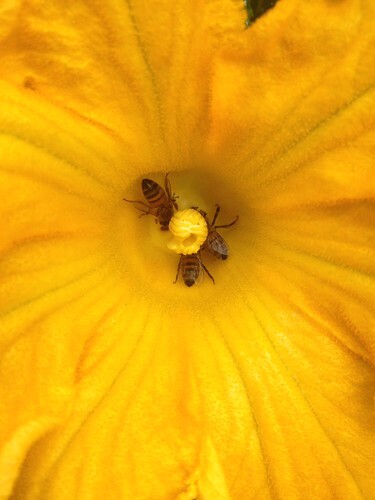 I had initially put it a couple of feet away, but it was completely ignored – bees are very precise creatures! 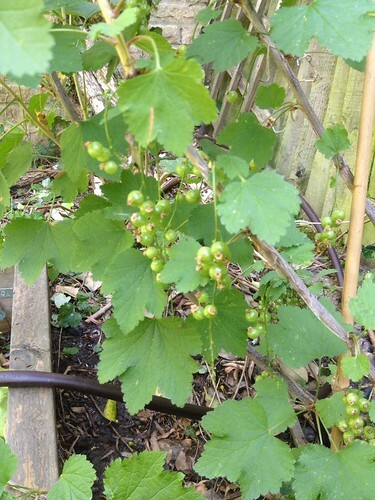 This entry was posted in Blog, Foraging on 13 April 2015 by Helen Rogers. 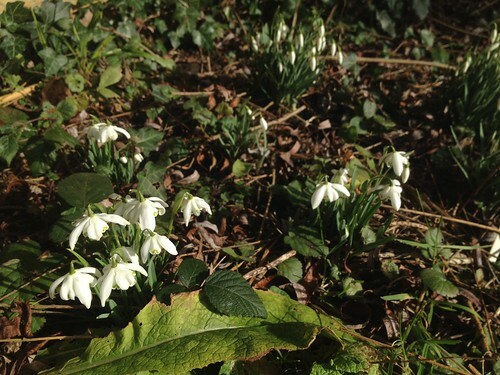 Every day more and more flowers are opening here, spring is well under way! 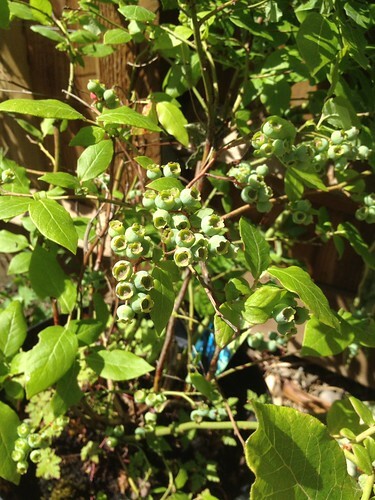 Here are some of the things that the bees have been enjoying in our garden. 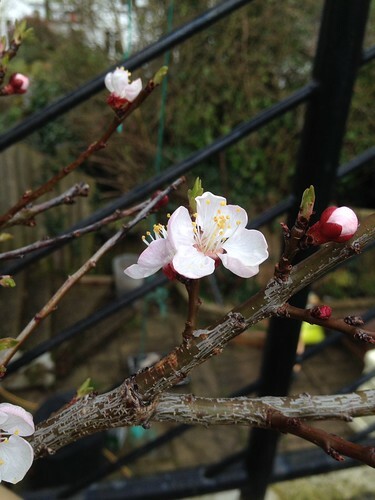 Apricot – I’m stupidly excited by the prospect of having our own apricots! 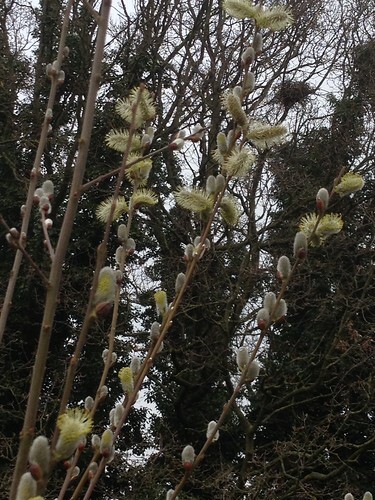 Willow – this was taken this morning, a few feet away from our hives in Hendon. 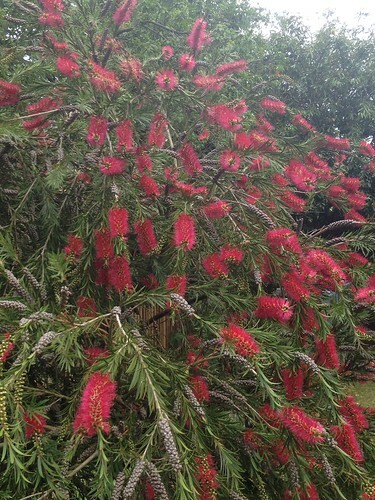 Each tree has dozens of flowers, providing a huge source of pollen at this time of the year. 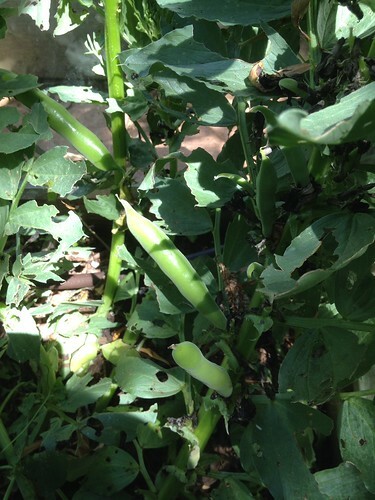 This entry was posted in Blog, Foraging on 17 March 2015 by Helen Rogers. I think that we’ll need to add to it this autumn – I must remember to mark our exactly where these ones are, so we don’t plant over them. 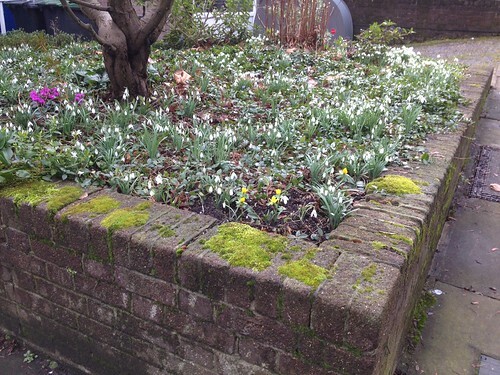 I read the other day that the lawn shouldn’t be mown for at least 40 days after the flowers have gone over to allow the bulbs time to bulk up for next year. 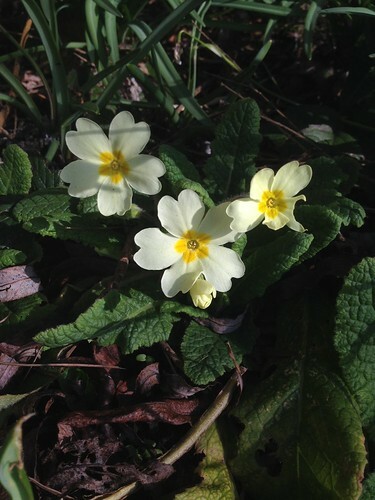 This entry was posted in Blog, Foraging on 8 March 2015 by Helen Rogers. We had had some beautiful days here over the last week. 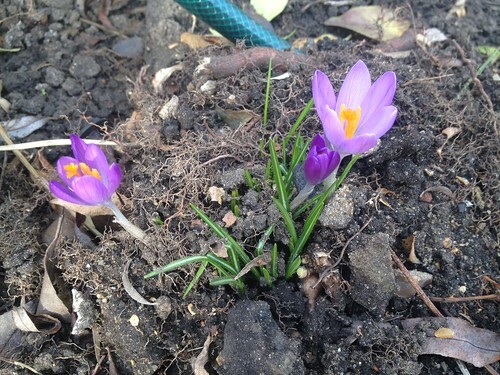 It is so good to feel some warmth in the sun and be able to work in the garden without a coat again. 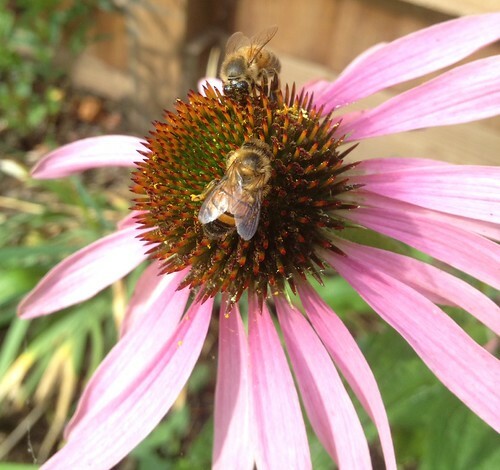 The bees at home have been very active – there are lots of spring flowers out around us at the moment, it is wonderful to see them taking pollen into the hives. Pollen is an important food for developing bees, so seeing pollen being collected can be an indication that there is brood in the hive. As well as pollen they are very busy collecting water – they seem to love collecting it from damp moss and droplets on the roof of our little greenhouse. The colony needs water at this time of the year, the nurse bees need it to feed the growing bees and they also use it to dilute honey stores that have crystallised over the winter. 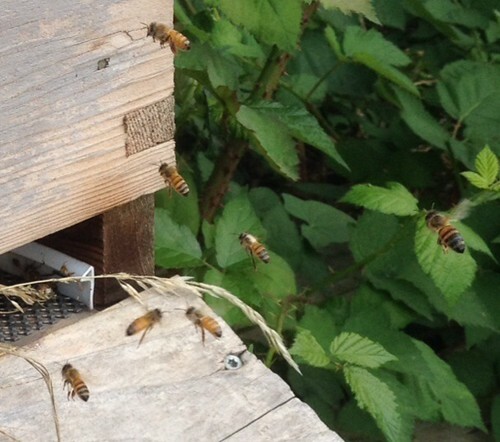 Here is a recent picture from one of the Hendon hives, if you look carefully you can see some bright orange pollen being taken into the hive. 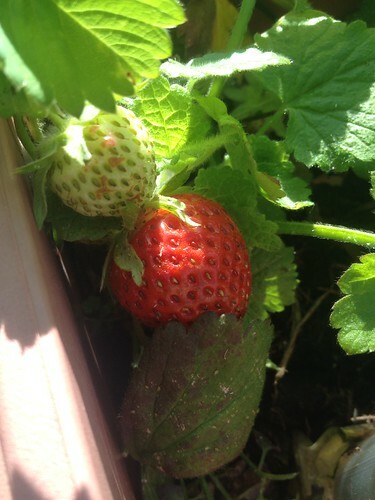 Another local feast for bees! 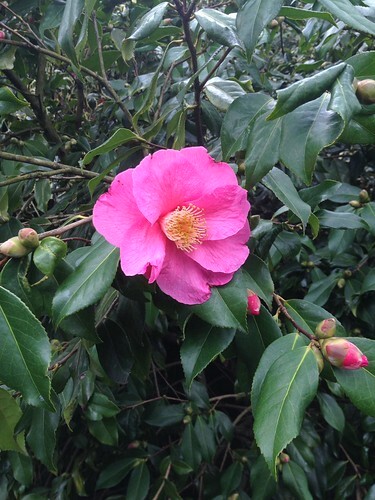 The camellias are just starting to flower in our area, although the ones we have on the north side of our house are still in tight bud. 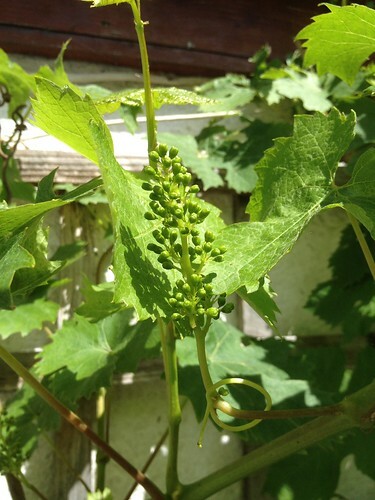 This entry was posted in Blog, Foraging on 4 March 2015 by Helen Rogers. This week has felt long – sick children and cold weather. Today the sun came out! 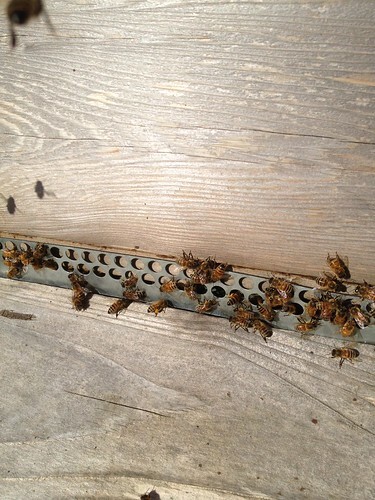 The bees are out flying and some are bringing pollen back to their hives. 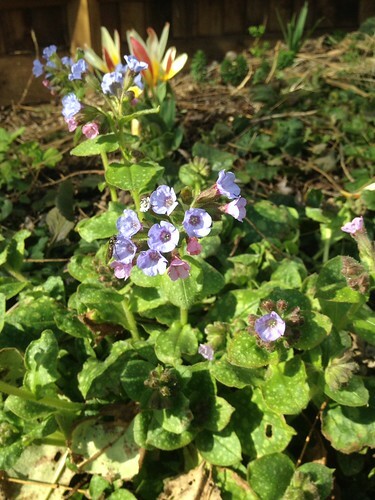 The garden is stirring and the early spring flowers are beginning to open. 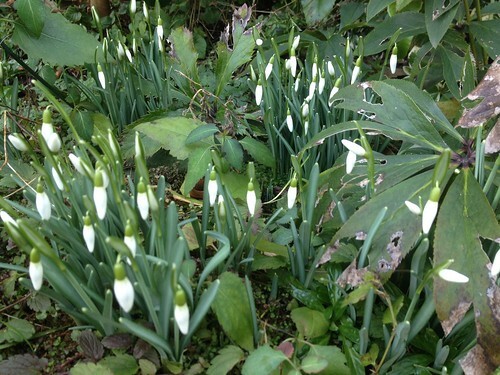 These are from our garden – it is so good to see results from the bulbs I have planted. 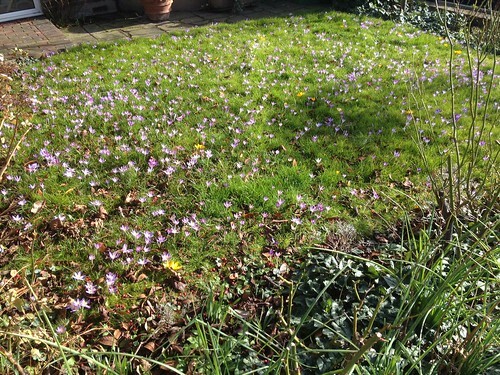 One of our neighbours has this spectacular display on their lawn – a real pollen feast for bees! 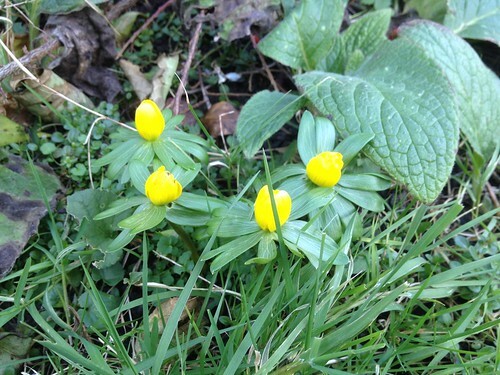 This entry was posted in Blog, Foraging on 8 February 2015 by Helen Rogers.